All hail PayPal, augur of Steam sales. Update: PayPal has confirmed the start of the Steam Summer Sale: June 23. I don't know when PayPal became the official herald, but it has leaked sale dates so often in the past that I presume Valve just gave up and put it in charge. Original: The word on the street, and by street I very much mean Reddit, is that the 2016 edition of the Steam Summer Sale will begin on June 23 and run until July 4. That word comes from an unknown developer who seems to have little interest in the finer points of confidentiality, who posted an image with the info. Oddly enough, the message is in english, but the dates themselves are in Russian, suggesting that the leak either originated there, or is fake. 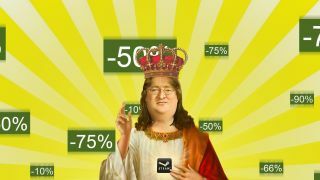 Obviously this is all entirely unofficial and unverified, so take it for what it's worth, but also bear in mind that basically the same thing happened last year—the Steam Summer Sale dates were leaked onto Russian social network VK, by the same guy (Vyacheslav “MrFreemanBBQ” Konchits) who posted this year's dates—and proved out to be accurate. I've reached out to Valve for confirmation of the dates, and I'll let you know if I get anything back.